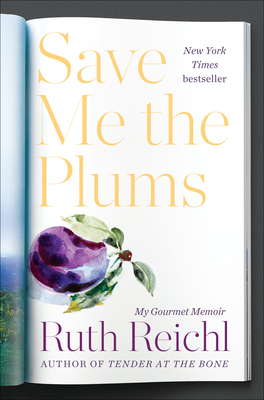 NEW YORK TIMES BESTSELLER • Trailblazing food writer and beloved restaurant critic Ruth Reichl took the job (and the risk) of a lifetime when she entered the high-stakes world of magazine publishing. Now, for the first time, she chronicles her groundbreaking tenure as editor in chief of Gourmet. Ruth Reichl is the bestselling author of the memoirs Tender at the Bone, Comfort Me with Apples, Garlic and Sapphires, and For You, Mom, Finally; the novel Delicious! ; and, most recently, the cookbook My Kitchen Year. She was editor in chief of Gourmet magazine for ten years. Previously she was the restaurant critic for The New York Times and served as the food editor and restaurant critic for the Los Angeles Times. She has been honored with six James Beard Awards for her journalism, magazine feature writing, and criticism. She lives in upstate New York with her husband and two cats.